North Carolina – Marine scientists on an mission to study deep-sea ecosystems found a shipwreck that appears to date back from between late 18th century and early 19th century. Although there is no priceless artifacts found, the underwater discovery may be rich in history related to american trade by sea. 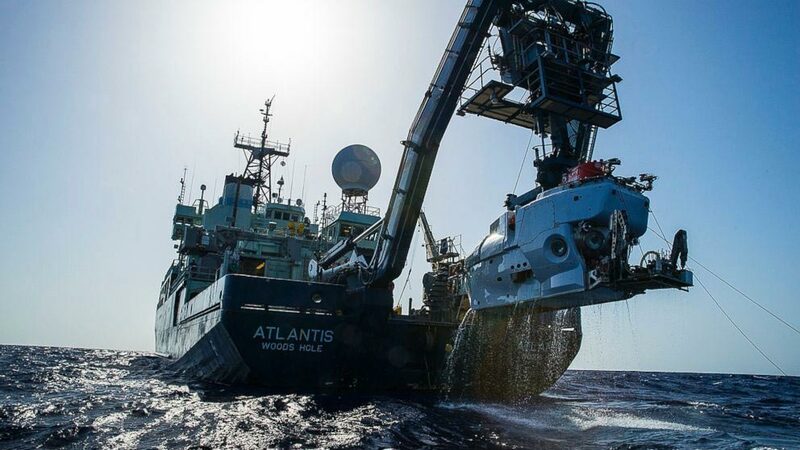 Cindy Van Dover, the leader of the expedition and director of the Duke University Marine Laboratory expressed that, “This is an exciting find, and a vivid reminder that even with major advances in our ability to access and explore the ocean, the deep sea holds its secrets close”. On July 12, using an autonomous underwater vehicle (AUV) and a manned submarine from The Woods Hole Oceanographic Institute deployed some 150 miles off the coast, in a part of the Gulf Stream, scientist found the lost ship almost by luck and in perfect state. “Lying more than a mile down in near-freezing temperatures, the site is undisturbed and well preserved,” said Bruce Terrell, chief archaeologist at the NOAA Marine Heritage Program. The place of the finding was considered a maritime “highway“ that allowed goods to be moved throughout the Caribbean and North and South America. The expedition was led by Duke University marine scientist Cindy Van Dover and included experts from North Carolina State University and the University of Oregon. One of the scientists noted that many ships have wrecked off the Carolina coasts over the years but given the difficulty of working in extreme depths, few discoveries have been made.